Digital marketing, also known as online marketing, includes all those advertising and commercial strategies that are executed through the media and Internet channels. Internet marketing has revolutionized the business world. Each day more and more companies are using digital marketing tools in order to optimize their marketing strategies through online channels. Along with that, it is essential to invest in innovative telephone systems such as the call center software, or the virtual PBX, in order to offer good customer service. 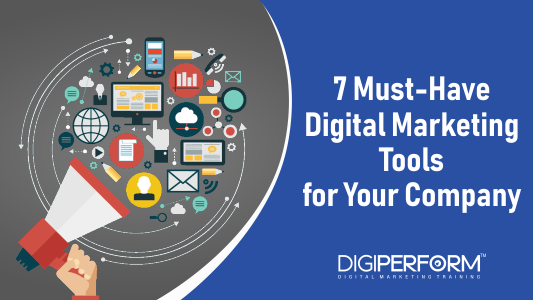 If there is one thing that digital marketing tools will allow us – is to OPTIMIZE, the action of making the best or most effective use of the resources. 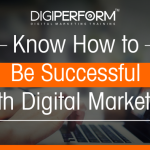 There are several digital marketing tools that allow to automate the procedures and can, in this way, enhance the marketing results of your company, as well as ultimately impact on profits. Feedly is an RSS reader, a content curing tool that searches, filters, groups and selects the information that comes to us from different sources. It allows you to quickly access and manage the latest blog updates and the latest published news. Its procedure is simple, you must add the blogs or websites that interest your company (and, above all, the target), and will automatically update the news of these same blogs or websites. In this way, it is possible to gather information in an organized way, its quick reading and the possibility of sharing it in our company’s social networks or by email. Using this application is very practical; since if it is used effectively, it can give an updated image to the company, as well as use it at times when the organization does not show activity in networks, sharing the interesting content that Feedly shows us in our Social Media. Google AdWords is an important digital marketing tool at the service of Google, which allows companies to easily place ads to gain visibility and try to achieve more sales. We are therefore talking about an SEM strategy. This is one of the most effective channels for capturing traffic, as they offer the possibility of appearing in the top positions of the results of the Google search engine, thus obtaining clicks of people who have a commercial intention, and if they did not have it, to have it created. The operation is not very complicated since; to launch the ad you must choose the keywords for which to bid, create the ad and allocate a budget. If there are several advertisers bidding on the same words, the order of that ad will depend on three factors: the price each advertiser is willing to pay for each click (bid), the quality of the ad and the website, and the extensions and other ad formats. Google Adwords allows you to compete against big brands because it’s about who does it best in this process, not who invests more. With respect to Google and the tools it provides, we cannot forget Google Analytics, a web analytics tool that offers grouped information on the traffic that reaches your websites according to the audience, acquisition, behavior, and conversions carried out on the website. Hootsuite is one of the most popular platforms in the market that allows us to manage all the social networks of the company at the same time, and which cannot miss the Community Manager of your company. This platform allows centralizing the actions that are carried out in the social networks of the organization. In addition, they allow the previous programming of the posts, to follow the mentions of the brand, to evaluate the interest and reactions to the contents and the base of followers. This is the tool that can manage and handle, at the same time, accounts from Facebook, Twitter, Instagram, LinkedIn, Google+ or WordPress blogs. This is an email marketing tool. Email marketing has become one of the main channels of the business-client relationship. After the person has their first contact with the company and becomes a lead, email marketing is a very important way to communicate with them and offer them more content, until they become customers. In addition, it also allows customer loyalty, thanks to newsletters and information on new products and offers, etc.. Thanks to MailChimp, we can carry out this digital marketing strategy for our company, managing our customers and keeping them informed. The best thing about this tool is its usability and simplicity of use. It also offers different prices depending on the size of the mailing list. This web analytics tool allows you to obtain data about the positioning in the search results of our sites in Google, as well as use it to know the one of your competition since the data you need are only the domains. 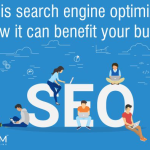 Other data that allows you to obtain are the keywords of greatest relevance to your business, the positioning of your keywords in organic surveys, the advertising strategies most used by the competition and the results obtained in each of them, and so on. Thanks to the analysis that allows you to obtain, is great to improve positioning and competitiveness. Above all, it is a great tool to investigate your competitors, as it gives you a lot of data on how they are working their web positioning. Due to its effectiveness and functionalities, SemRush is widely used to carry out company SEO strategies. Although we are talking about the online environment, we must not forget the ways that the digital world can provide us to give adequate customer service through these means. One of them is this, the click to call. The click to call is a tool introduced in the web of the company that allows the possible client to press it so that it automatically contacts the company through Internet, without any cost for him (nor for the company) and with a very simple operation. The benefit for your company of this tool is that you do not need action by the customer, simply press a button. We already know that customers are getting more and more comfortable. Finally, let’s talk about Chatbot, a digital marketing tool that, according to experts, is going to give a lot to talk about. A tool that, like the previous one, allows us to offer adequate customer service. The chatbot is an artificial intelligence software that allows real-time conversations with users. It simulates maintaining the live dialogue with people through different text messaging channels: Facebook Messenger, via SMS, web, chat, and so on. For this tool to work, it must detect pre-established keywords. That is why the company must make variables of different types of messages that can receive from users. After this, the list of answers can be elaborated. Nowadays, there are so many digital marketing tools, that in the end, it is difficult to decide which ones our business really needs. Analyze your company’s requirement and choose the tool accordingly. It is important to invest in these factors mentioned above: social network management, web analytics, getting to know our competitors well and, above all, not forgetting the attention we pay to our customers or potential customers. Emma Smith, PR and content manager at Fonvirtual. Fonvirtual provides companies and entrepreneurs with international virtual phone numbers and other virtual services. I’m interested in digital marketing, technology and international logistics. I am a usual collaborator in blogs, where I try to spread the word of telecom services in international business.